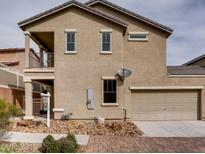 Below you can view all the townhouses for sale in the Weston Hill subdivision located in Henderson Nevada. 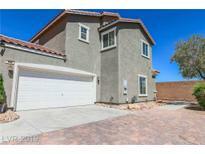 Listings in Weston Hill are updated daily from data we receive from the Las Vegas multiple listing service. To learn more about any of these townhouses or to receive custom notifications when a new property is listed for sale in Weston Hill, give us a call at 702-323-5903. Community amenities w/park, pet part + more. DON'T MISS! MLS#2090715. Offerpad. Close To Shopping, The Galleria Mall And Public Transportation. You Won'T Be Disappointed. MLS#2088727. Signature Real Estate Group. Low HOA. Priced to sell Fast. MLS#2087140. RE/MAX Excellence. Community has walking trails, dog park, Splash pad etc...Convenient location - 10 mins to Lake Mead National Park / Galleria At Sunset / Grocery Store MLS#2083524. Advent Realty Group LLC. Great starter home or rental property MLS#2081300. Elite Realty. Just a short walk to to baseball fields, basketball courts, dog park and playground! Must see! MLS#2078668. Platinum R.E. Professionals. Priced to sell. Move in ready. MLS#2079131. Signature Real Estate Group. No house behind, balcony overlooks parks and mountains to the west. All appliances stay. MLS#2074114. Win Win Real Estate. 3 Bed 2.5 Bath Weston Hill Townhome **beautiful Wood Like Floors**updated Kitchen With Breakfast Bar And Huge Walk In Pantry **stainless Steel Appliances** Upstairs Laundry**master Bedroom With Large Walk In Closet & Balcony**large Back Yard** Home Attatched Only By Its 2 Car Garage** Downstair Bathroom **close To Park **easy Access To The 95 & 215 Freeways** Above Ground Spa** Quiet Neighborhood ** Low Hoa!! ** MLS#2066017. Prominent Realty Group LLC.